Democrat candidates for the Senate and House are vastly outpacing their Republican opponents on Facebook and Facebook-owned Instagram, according to analysis by the New York Times — although it’s impossible to say how much of their upsurge is the result of mass-bans and algorithm changes on the part of Facebook. The analysis shows a 7.8 million advantage in Facebook interactions for Democrat Senate candidates vs. Republican Senate candidates in a 30-day period ending October 15, and a 2 million advantage in interactions for Democrats fighting House races over the same period. Only in gubernatorial races do Republicans hold a slight advantage in Facebook interactions — of just 100,000. Democrats also hold a significant advantage on Instagram, with Democratic candidates seeing 5.4 million interactions on their Instagram pages over the thirty-day period, compared to just 213,000 for Republicans. Some of the Democrats’ social media gains can be attributed to a well-organized online resistance movement. An influx of small-dollar donations has given Democrats a large fund-raising lead, which has allowed them to spend more on digital campaigning and advertising. A surge in involvement from organizations like Tech for Campaigns — which has mobilized nearly 10,000 volunteers from the tech industry to help Democratic campaigns use digital tools — has also helped. However, it is unlikely that fundraising is the only factor driving the current Democrat advantage on social media. In 2016, the Clinton campaign vastly outpaced the Trump campaign in fundraising — at times holding a 2-to-1 advantage — yet Clinton’s Facebook engagement still fell short. While it briefly noting that Republican lawmakers have accused Facebook of anti-conservative bias, the Times fails to inform its readers of any actual examples of that bias. That includes Facebook’s dramatic change to its newsfeed rankings earlier this year, which determine what content appears at the top of users’ feeds. The change resulted in a 45 percent drop in engagement on President Trump’s Facebook posts, with no comparative decline for top Democratic politicians. 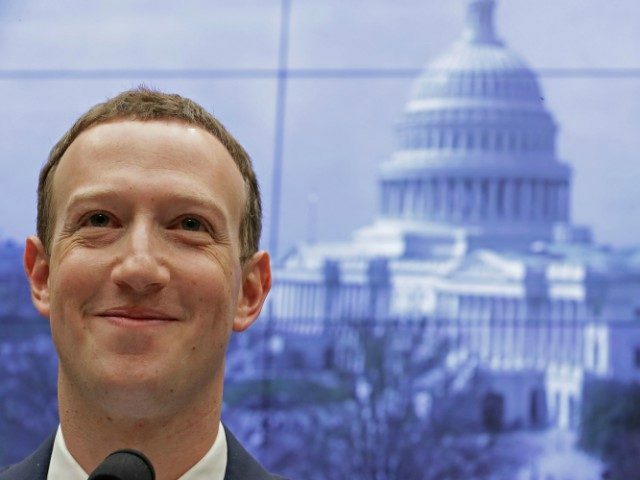 Shortly before the conclusion of the New York Times’ 30-day analysis period, Facebook purged over 800 accounts and pages for spreading “misinformation,” many of which were right-wing, anti-establishment, libertarian and anti-war. As part of the purge, Facebook banned multiple pages belonging to Brian Kolfage, an Air Force veteran and triple amputee who had invested $300,000 in ads for his pages that Facebook itself suggested, and who relied on the site for income. Last edited by GeorgiaPeach; 10-19-2018 at 06:21 PM. Facebook is bad, worse, they are deviant. You "like" posts...and they "unlike" them! So it looks like only 5 people like your posts when in reality...it is probably hundreds! Zuckerburg needs to go down like a bad dog. That little weasel made billions out of his garage and HE disrespects and throws this beautiful country and our citizens under the bus...karma baby...karma will get you with a vengeance! Can the Clintons Help Democrats Win Seats in the Midterm Elections?